Whether your décor is traditional, modern, or classic; David Alan creates custom one-of-a-kind solid wood slab tables that will add warmth and a sense of timelessness to any room. Rare woods ranging from single element slabs to centuries old reclaimed wood are found throughout our 18,000 s.f. warehouse in Solana Beach. Our knowledgeable staff will assist your search by guiding you through the selection process. After finding the perfect piece, our onsite craftsmen will follow up with the custom woodworking and hand finishing of your special piece. 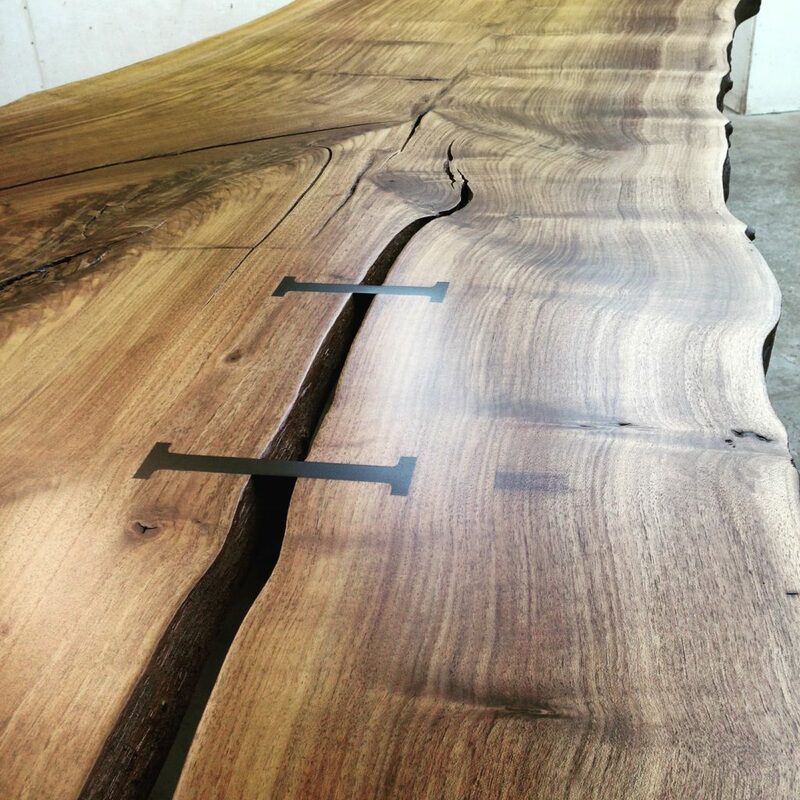 After choosing a wood slab in our showroom our specialists will help you select or design a custom base for your dining, coffee, or console table. 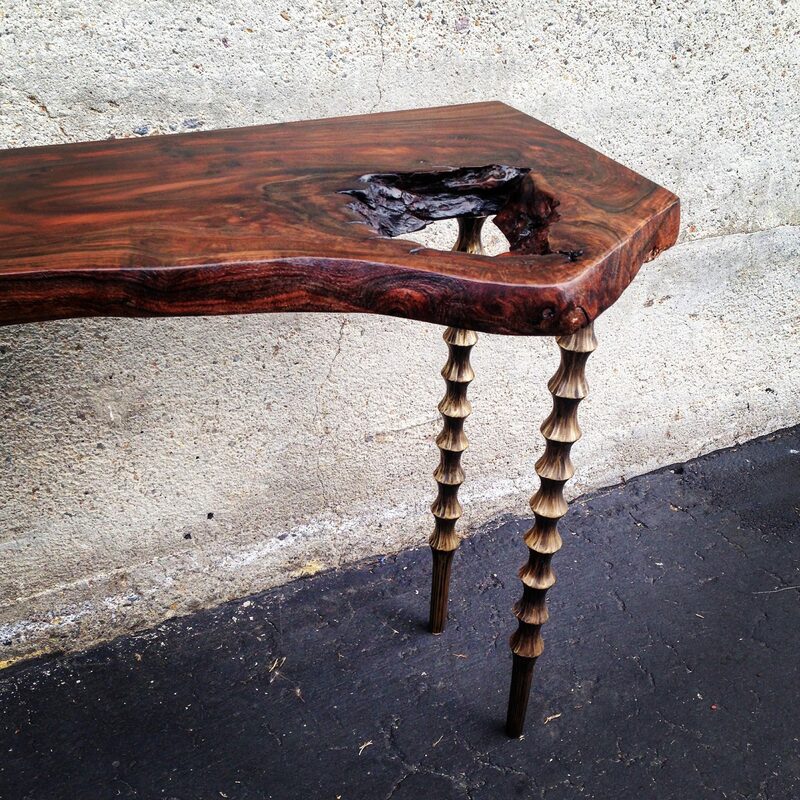 Each piece is worked by expert craftsman who have decades of experience in the art of woodworking and design. Additionally, each piece is custom finished to suit a variety of needs. An individual slab from one of the largest inventories in the country. David Alan Collection carries hundreds of hardwood slabs and reclaimed wood slabs in some of the most beautiful species available. The cut of the slab table that is right for your space, whether it be rectangular, circular, or irregular shape. The legs or base that reflects the style of your décor. This is a fun part of the design because wood slab tables can fit any style from modern contemporary to rustic, and the legs of the table help bring your design together elegantly. Lastly, choose the custom hand done finish for your slab table. Our woodworking studio is on site your table will be completed in a timely manner and to your exact specification. If you are not able to visit our gallery to view our current inventory in person, please contact our team with an idea of what you have in mind. We will follow up via e-mail with detailed photographs and descriptions of pieces that fit what you are looking to find. The showroom in Solana Beach is filled with hundreds of stunning wood slabs. Each slab is chosen for its’ beauty and unique characteristics. 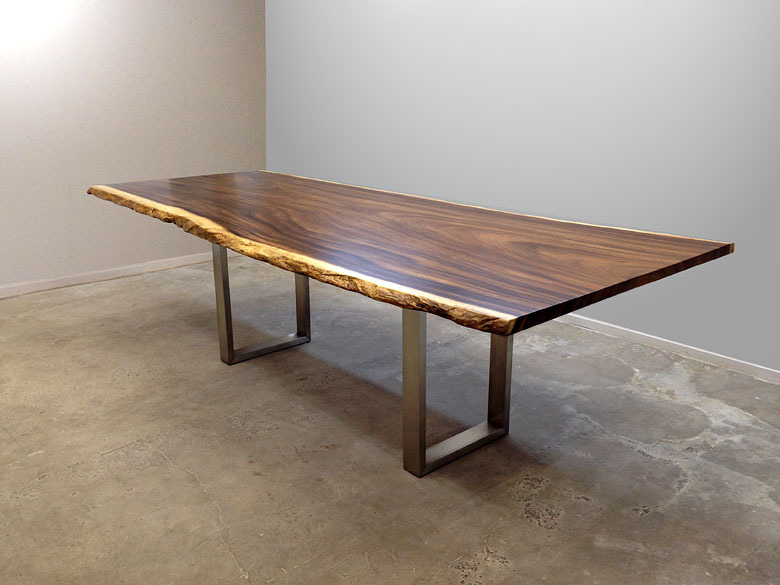 You can select the one-of-a-kind wood slab for your table to create a timeless custom piece. Our staff is happy to help you develop a design for your project. Here are some of the wood species that are regularly in selection. Custom slab tables have a large variety of sizes, below are the common sizes we are asked to produce. The sizes range from smaller side tables and coffee tables, dining tables, and very large conference room tables. The most common question we get asked on the phone is how much do slab tables cost. This question is more accurately answered by coming down to the showroom and viewing the selection or requesting a detailed email quote. The final estimate will depend upon your unique choices. No two pieces leave the gallery looking identical. Here you will find some price ranges for the different sizes of tables we handcraft. 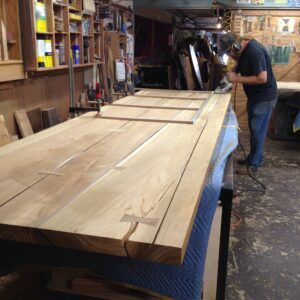 All of our slab tables are custom, handcrafted and finished in our onsite wood shop. 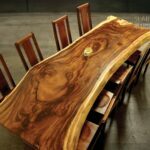 One of the most popular slab table designs is a live edge wood table. A live edge cut is just that, the natural wood edge which shows the original shape, beauty, and story of its origins. People gravitate to the live edge tables because they are 100% unique. No one else will have the same slab table since every piece of wood is different and each individual cut is varied. Define your style and elegance by selecting one of our rare slabs that will fit your vision, then let our team and on-site craftsman help you customize it to perfection. A dining table is one of the largest statement pieces you can choose for your home. Because every one of our slabs are unique, we’ll help you find the piece that is right for your style. When choosing a slab for your dining table you will be able to fulfill exactly what you want in a dining room table from size to design. 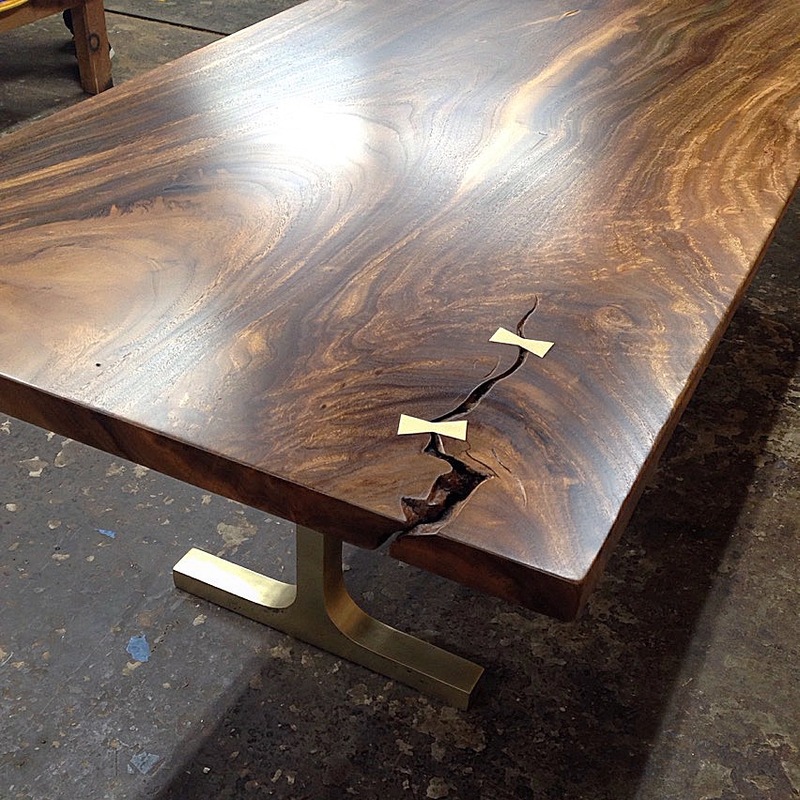 Choosing the thickness, wood grain, a custom finish, and a handmade base will tailor your table into a high-quality one-of-a-kind heirloom quality piece of furniture. Because coffee tables are usually smaller than dining tables, and because their functionality can be more flexible than a traditional dining table, the wood selection for our coffee tables can sometimes be some of our most interesting slices. 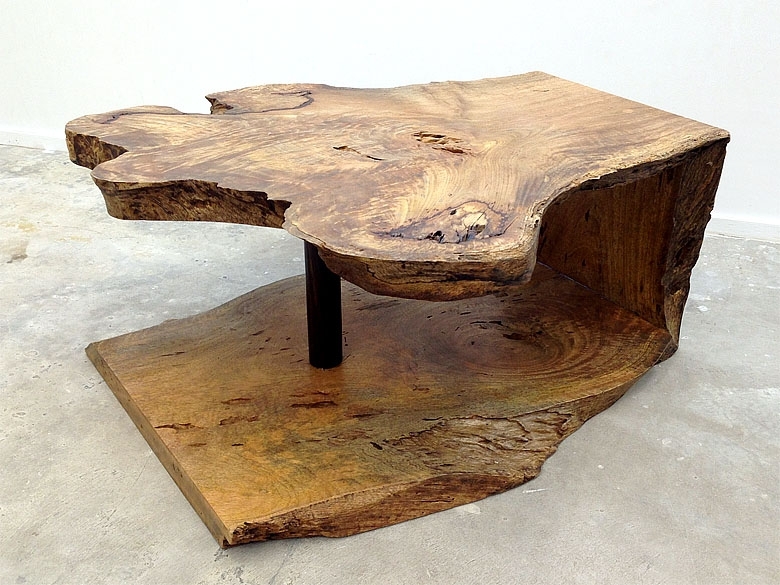 We’re able to use unique sections of the tree for coffee tables, slices closer to the roots or canopy, burls, and other rare cuts create stunning and dramatic pieces of finished furniture. Expert artisans will craft your wood slab coffee table from an exclusive range of wood species, including acacia, walnut, mango, tamarind, rosewood, maple, white oak, ebony, and other fine natural woods. 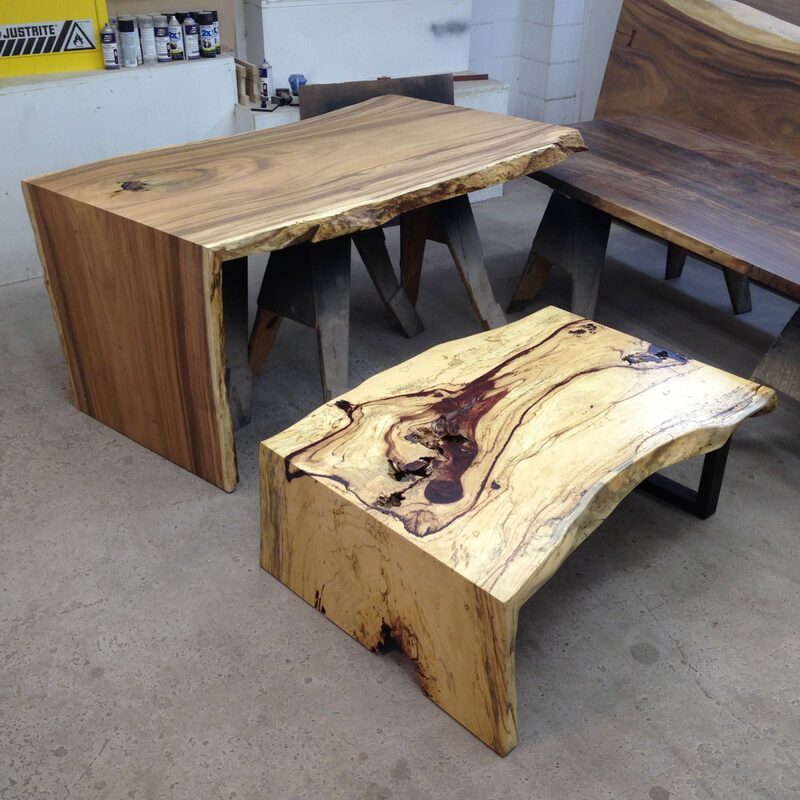 From live edge slabs to specialty cut coffee tables you will get a unique piece that brings the finishing touch of design you are looking for. Would you like more information on slab tables? Custom wood slab tables and live edge coffee tables. 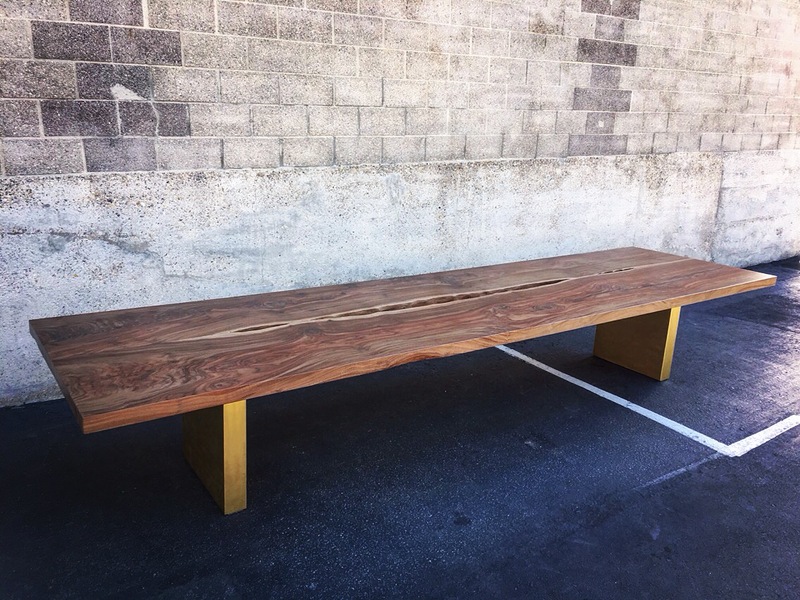 Chose from hundreds of wood slabs in the 18,000 sqft warehouse and design your own custom table to match your style.